Euro continues moving inside a narrow trading range near the level of 78.6%. We can’t exclude a possibility that the pair may start a more serious descending movement during the day. The target for the seller is in the area between the levels of 161.8% and 38.2%. 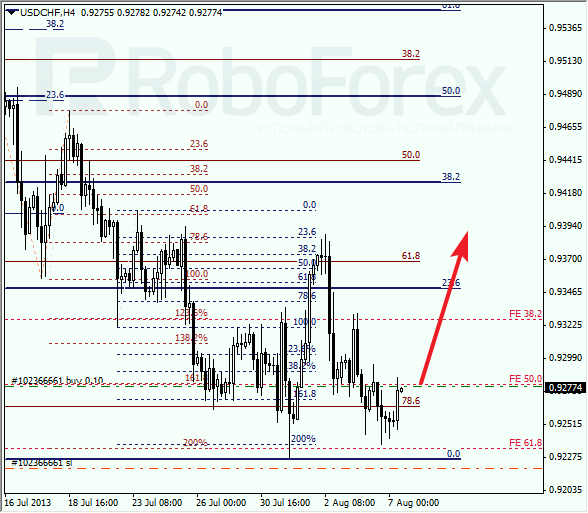 At the H1 chart we can see, that a local correction reached the level of 78.6%. Moreover, the temporary fibo-zones also indicates that the price may reverse here. The first target for the bears will be at the level of 100% (fibo-extension). Franc is testing the level of 78.6% again and is trying to rebound from it. Again. If the bulls succeed in doing it, the pair will start a correction, at least. 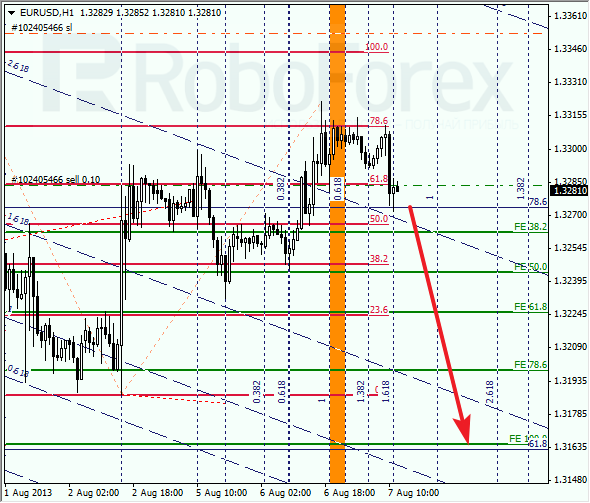 At the H1 chart we can see, that the temporary fibo-zones indicated the exact point of a reverse. The short-term target for the buyers is in the area between the levels of 100% and 38.2%.